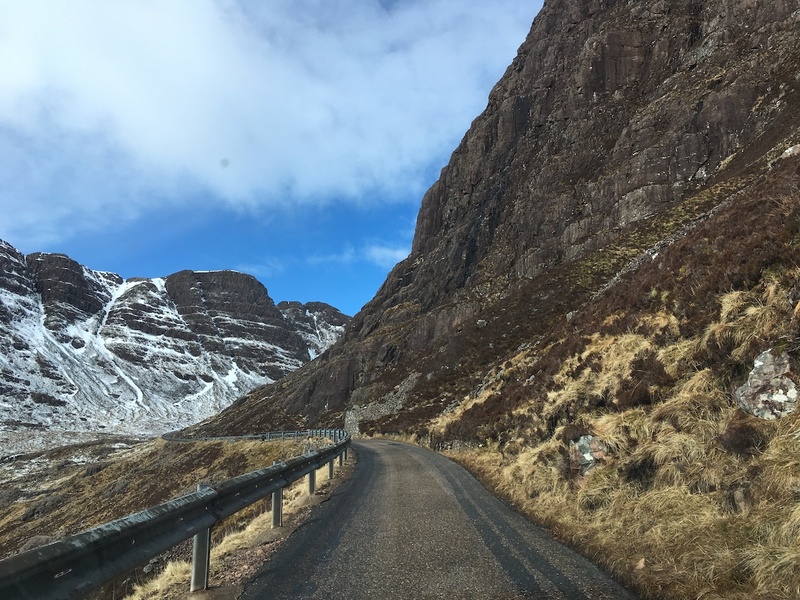 Yesterday we drove over The Bealach na Bà which was terrifying. It’s like driving into the jaws of a giant mythical creature. The towering cliffs that rise on either side and seem to engulf you as you get higher are the beast’s teeth. I’ve taken a screenshot of the route on Google Maps. It’s only 11 miles but I would put aside at least an hour to do it, especially if you’re a Grandma driver like me and you want to stop at the top to absorb the views. The Bealach Café which is at the start or the end, depending on which way you go, is a wonderful place to stop for coffee. They also have a terrific art gallery. I think a lot of people love it so much that they drive over to Applecross and then come straight back over and do it again. They really need a chair lift up to the top and a restaurant up there. I imagine it would be very popular. 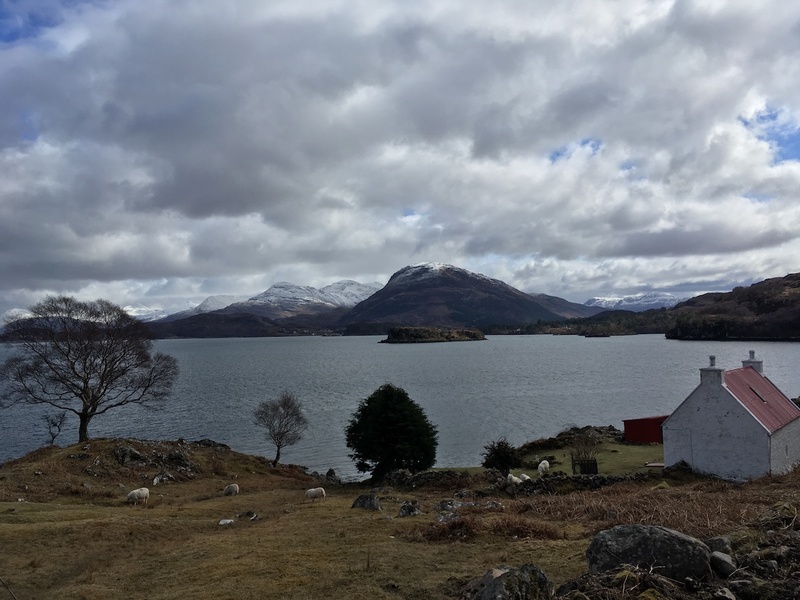 After spending a bit of time in Applecross we opted for the longer route north around the peninsula which was about 30 miles and also very scenic but not so scary. Here are some photos from that part of the drive. Looking west to the Isle of Skye. 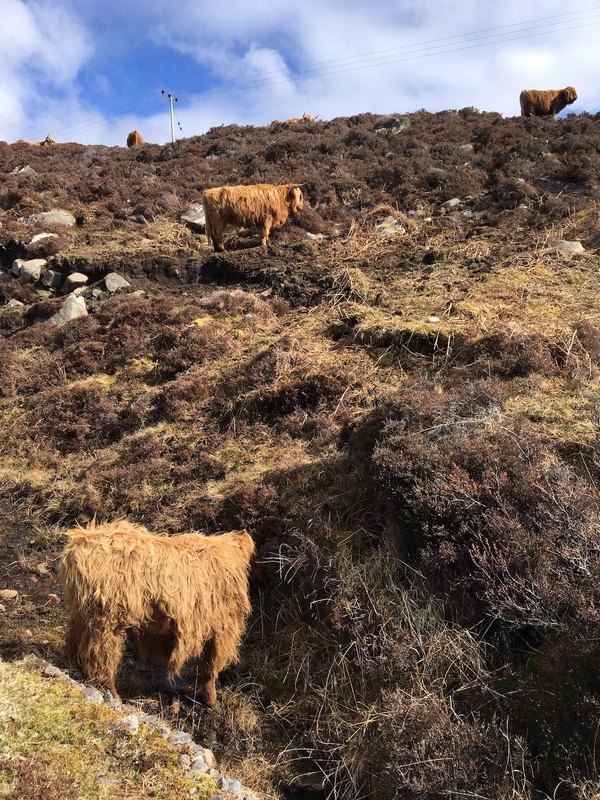 We saw lots of Highland cows. I spotted a little baby one with its mother not far from the road. 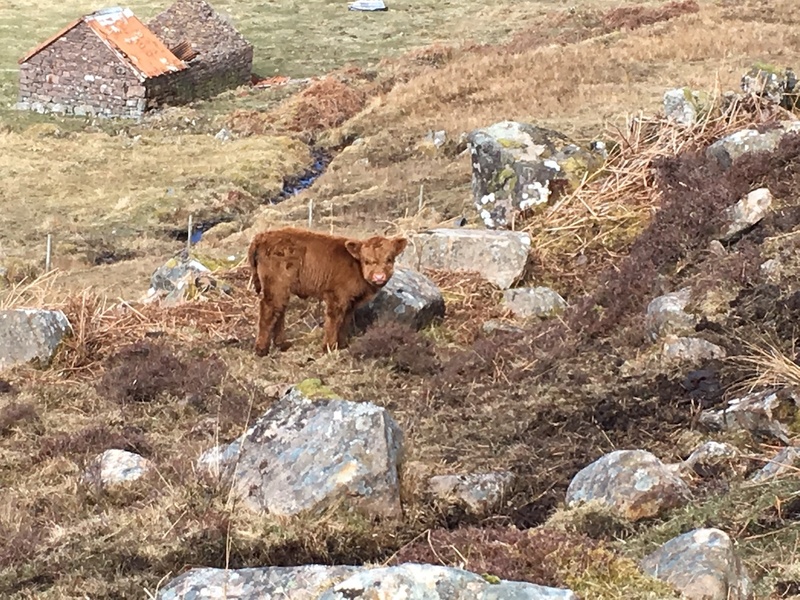 The zoom isn’t very good on my camera but here’s a zoomed-in version of the calf. The babies are so cute! I’d seen the red roof cottage in tourist photos of the area so we pulled aside when we saw it for real and took our own photo. This next one is near the end, looking east to the village of Shieldaig with the Torridon mountains behind. I’m feeling like a Japanese tourist taking an outrageous number of photos each day and stopping every 5 minutes to snap another. Is this meme out of date now? In the 1980s there were a lot of Japanese tourists in Queensland and they all seemed to view the sights through their camera lens. However now that we all have smart phones we’ve all become Japanese tourists. I don’t think it’s a bad thing. I love looking back on my blog to see the places we’ve visited and to re-live the experience. It’s worth writing a blog just for that. I highly recommend it. 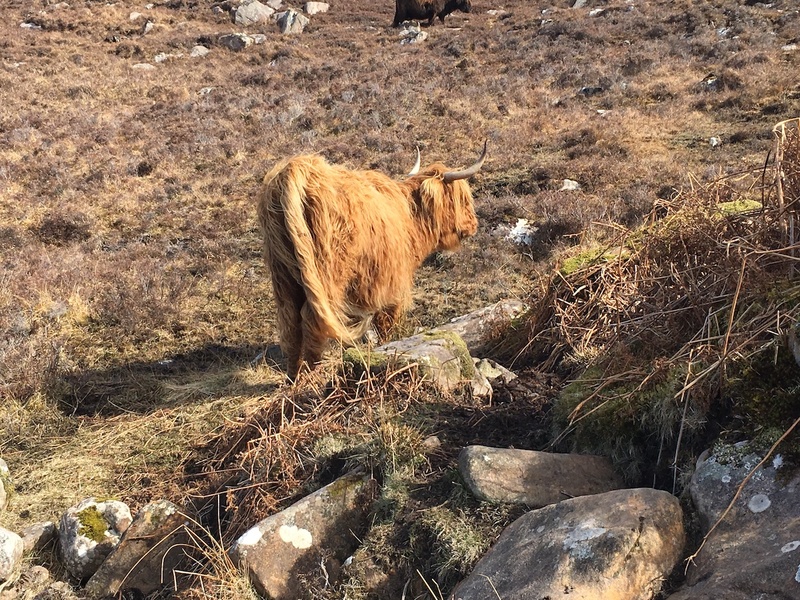 Posted in Travel and tagged Applecross, Bealach na Ba, highland cows, Highlands, photos, Scotland, travel. Bookmark the permalink. I love the baby cow! My iPhone 7 Plus has 2x optical zoom, but I’d use my main (YouTubne) camera for shots like that and I have interchangeable lenses on that. Highland Cows are beautiful! I need to get a proper camera. I’ve seen so many amazing views on this trip but my phone camera isn’t great. I bought a 6S Plus from CeX, but the batter went duff and rather than replace it, they swapped it (free) for a Red (Product) iPhone 7 Plus with dual cameras and twice the memory (128GB!). A good outcome! In Cambodia this last summer we heard that the differences between Japanese Korean and Chinese tourists were their head gear. Japanese have those golf visors. Chinese a sort of small trilby and Koreans baseball caps… who knew. 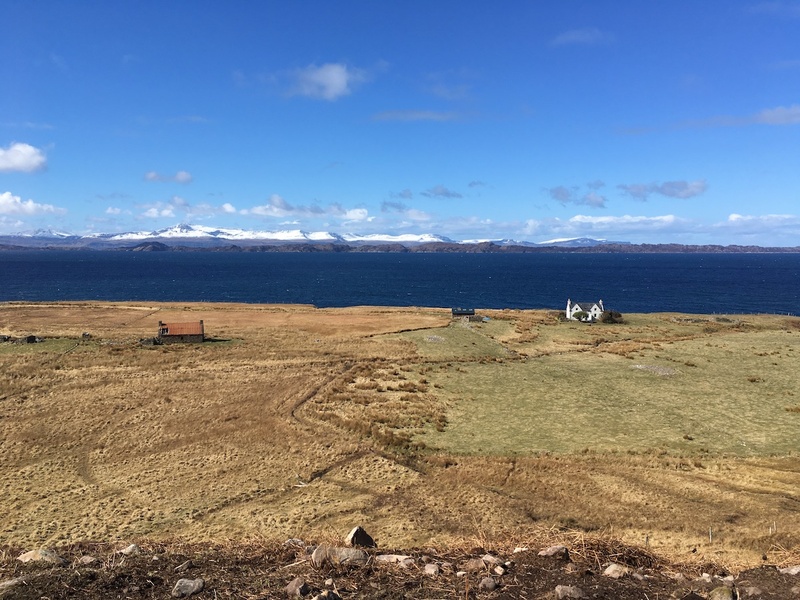 Applecross has to be a top ten viewing opportunity. Lovely shots. Funny! I wonder what they say about British and Australian tourists? I’d never heard of Applecross before now and it’s a beautiful area. 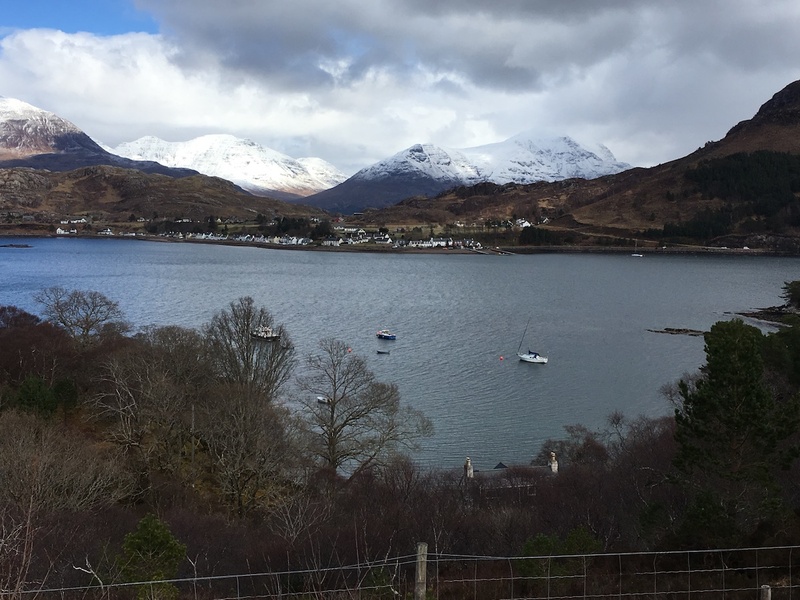 The Applecross mountains look lovely from every direction and the little village is cute too. 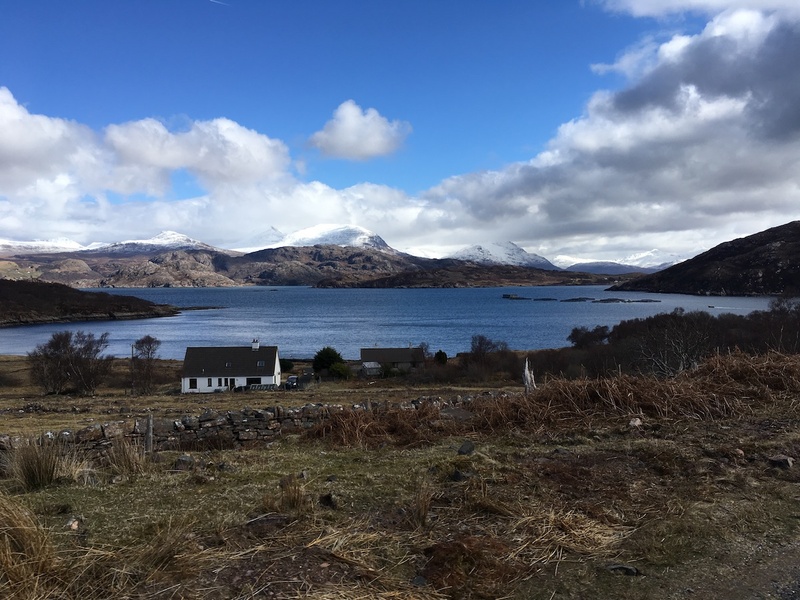 That west coast stretch from Oban to ullapool is one of the most perfect sections of these islands. If you ignore Fort William! Wow, fascinating. I don’t think I did. There was no Wi-fi at the cafe in Applecross and I didn’t check any other time. Raasay seemed quite a long way away. 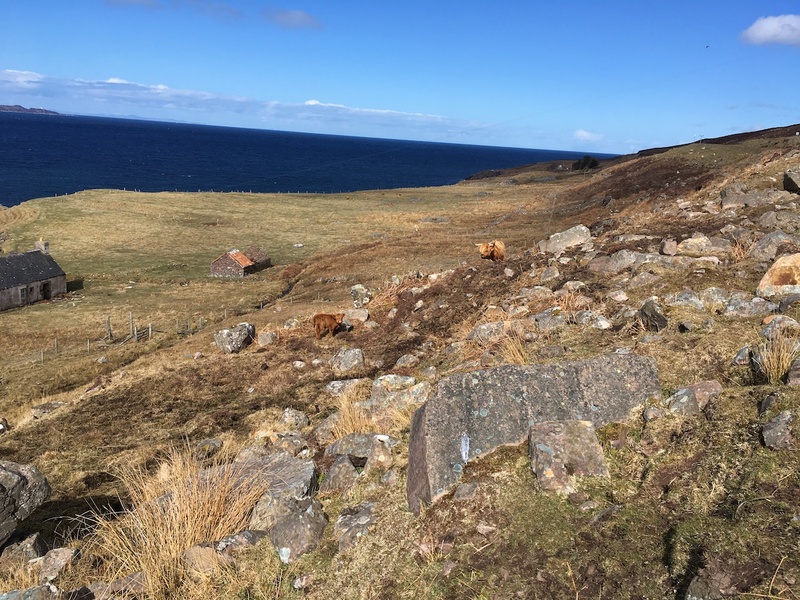 Did you visit the beach just north of Applecross, it used to have weird broken shells embedded in the gaps in the rocks. We didn’t stop on our drive around the Peninsula. There were so many lovely-looking places to stop it’s hard to choose which ones. How do you start an electric car?